This Document gives illustration of attaching Short Text, Long Text,File Type of Attachments. Navigate to Attachement => Document Categories. 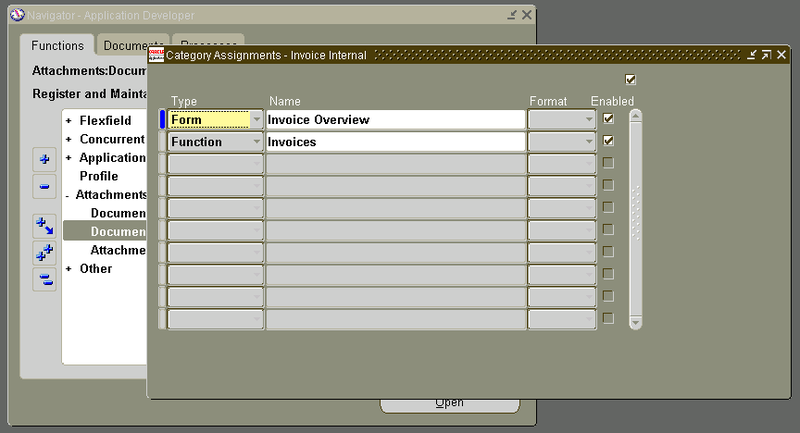 Invoice Internal is the Standard Document category for Invoices. 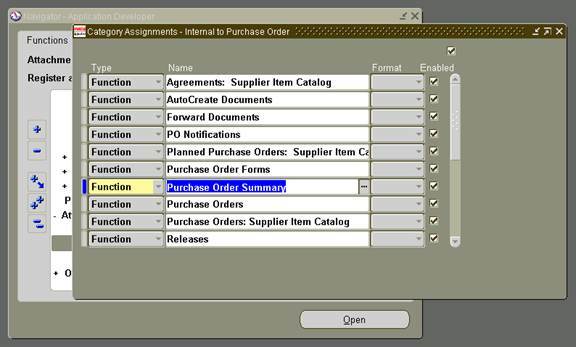 Internal to Purchase Order is the Standard Document category for Purchase Orders. Form Function. 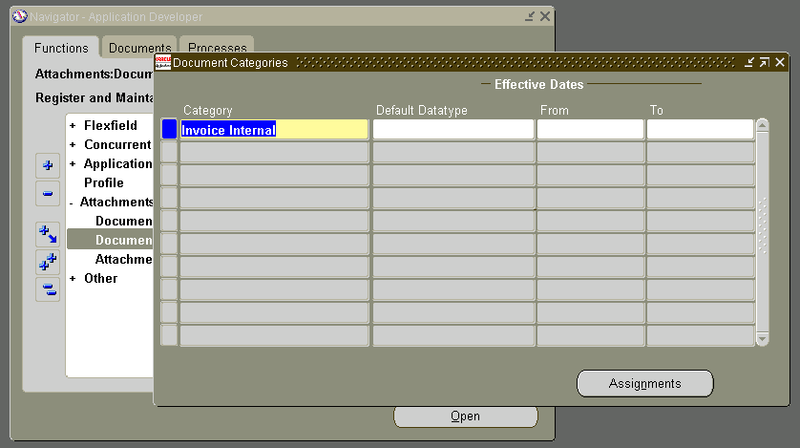 Assign the Document Category to the Desired Form / Form Function. 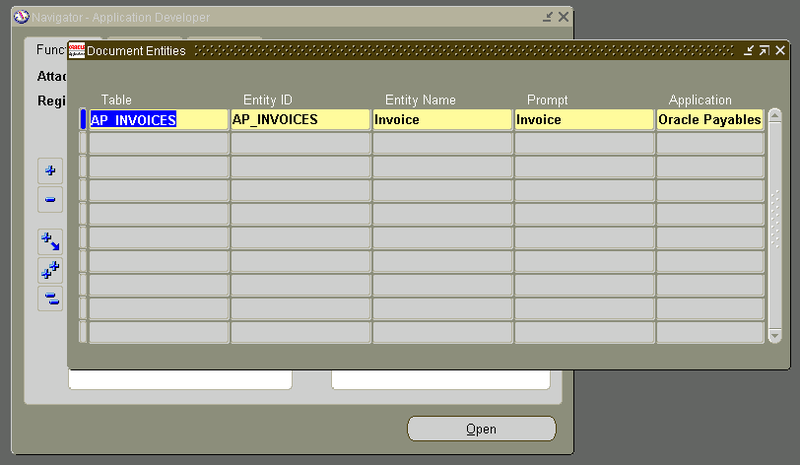 Thus , the Invoices Attachements can be viewed in Invoices Overview Form in AP Application. For Invoices and Purchase Orders , Standard Document Entities have been defined. 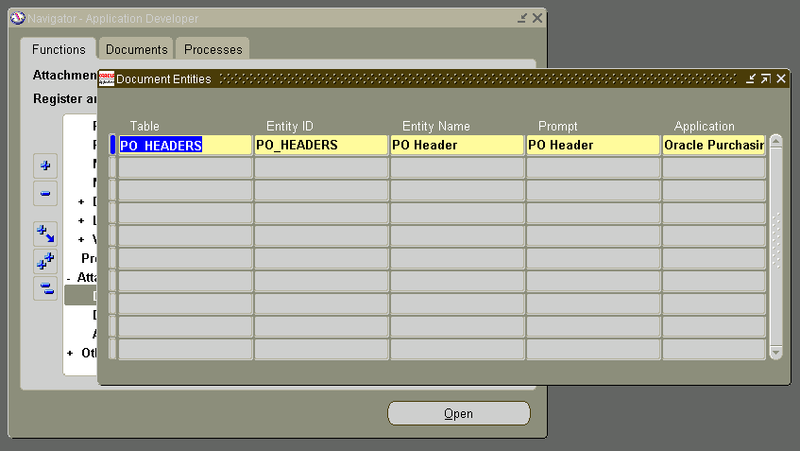 pk1_column of this table contains INVOICE_ID. pk1_column of this table contains PO_HEADER_ID. CREATE TABLE blobtab (index_col NUMBER, blob_col BLOB) . 2. Place the JPEG/BMP/WORD Document in an Drectory accessible to Oracle. This can be found by querying in ALL_DIRECTORIES. 3. Exceute the Folowing PL/SQL Code . CREATE TABLE blobtab(index_col NUMBER , blob_col BLOB) . 3. Execute the Folowing PL/SQL Code . Wow excellent work... thank you for sharing..
Could you please share the AR invoice attachment extraction query in R12.